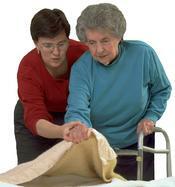 Sensible Senior Homecare Agency is dedicated to helping seniors live independently at home. care, which includes services tailored to the needs and wants of each of our clients. The combination of selected services enable seniors to avoid, or delay residence in a nursing home or assisted living facility. We are based in Southern California, serving Riverside County, San Bernardino County (including the High Desert, Tehachapi, Antelope Valley and Coachella Valley), Los Angeles County (Pasadena and the San Gabriel Valley), Northern San Diego County and Orange County. The story of our beginning is personal and passionate. Click on ABOUT US to read the story of how we began our business, our passion, ethics and commitment to the senior communities in our service areas.